It was inspiring to learn that Jenica, of stationery label Notely, fuels her creativity by bouncing ideas back and forth with other creatives, usually while laughing and drinking coffee! This, along with her “offline” notebook products, remind us of how important it is to step away from the computer and into the real world, especially if things start to feel overwhelming. 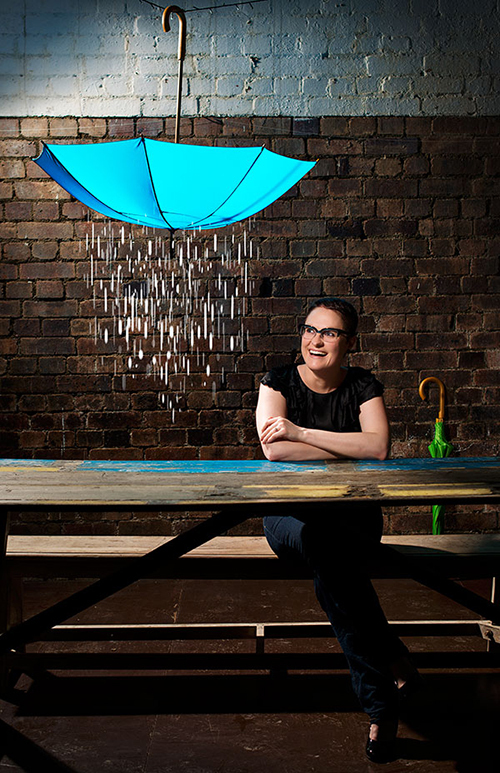 Catch more great tips for a creative work balance in this interview. Tell us about your label Notely and what the concept is behind it? 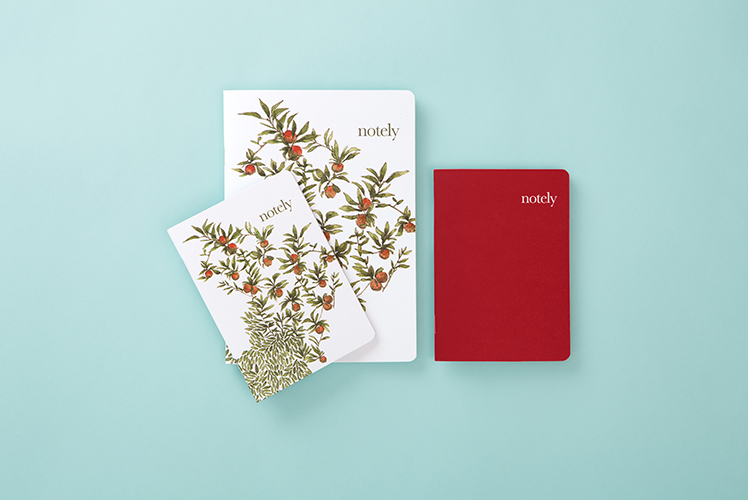 Notely is simple, beautiful, sustainable stationery to help you create your best work. 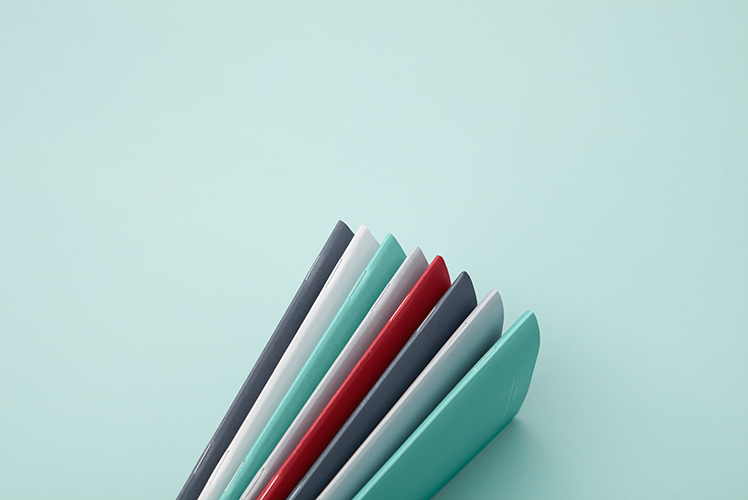 Our range of eco-friendly notebooks are printed entirely on FSC-certified 100% recycled paper. The paper is made from 100% post consumer waste (using no virgin tree fibres) and the it’s the whitest office paper that is recycled to create a vibrant, delicate and tactile surface. The range is designed and printed locally in Brisbane. I founded the range from my obsession with design, love for stationery and passion for sustainable living. Over many months of research, mockups and feedback from peers, we created the range to be an absolutely beautiful tactile surface for scribbling, drawing and sketches. 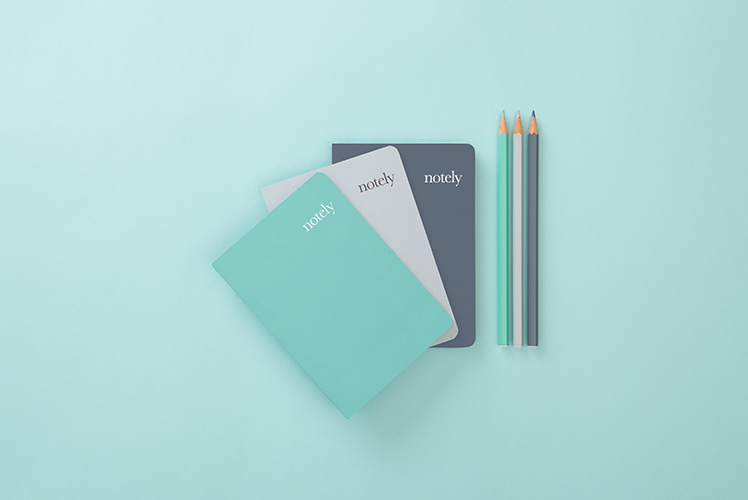 Our Notely Essentials feature bold and neutral block colours for everyday use, while our Artist Collection feature exclusive designs from local illustrators. I began my career in design when I landed a traineeship with a leading advertising agency while still in high school at 16. Once finished school and studying, I continued to work with them for many years. I’ve now worked as a graphic and web designer for over 10 years and have been involved with creating and growing brands at many different levels. My days are usually full of problem solving, design deadlines and many hours at a Mac. Notely has been a great motivation for me to step away from my computer to create, draw and work with something really tactile. Notely really formed from a crossroads between my career in design, a few years running my blog Design Montage and a long-term stationery obsession. So to see all of these parts of my life come together makes my heart sing. Having always worked with a variety of creative people, my creativity is fuelled by bouncing ideas back and forth — usually involving lots of talking, laughing and coffee! I’m always reading magazines and books on creativity and design — as well as listening to podcasts and going to design events. Lately I have also been having “creative catchup” dates with an awesome friend of mine. We talk about all kinds of ideas or things we might be thinking about and it helps to keep the momentum going. Also, since turning 30 this year I am starting to get a bit braver with trusting my gut. Surely I should have realised this by now however I’m starting to run with ideas that come to me and if it’s niggling at me for a while, then I should give it some proper thought as there might be something there. I live in a tiny apartment so I usually escape to my garden for thinking as it’s much larger. I love sitting on the deck and I usually have a puppy or two trying to lay on me or my feet. I have two Staffies and Junior is like my little comforting shadow around the house. I love trying new spaces for creating. I’m regularly sitting in a cafe sketching, scribbling notes or doing stuff on my laptop. I really feel I am much more productive outside the house – or in the middle of the night when there’s no other outside distractions. What do you love about working with stationery? What are some of the challenges in keeping your eco ethos? 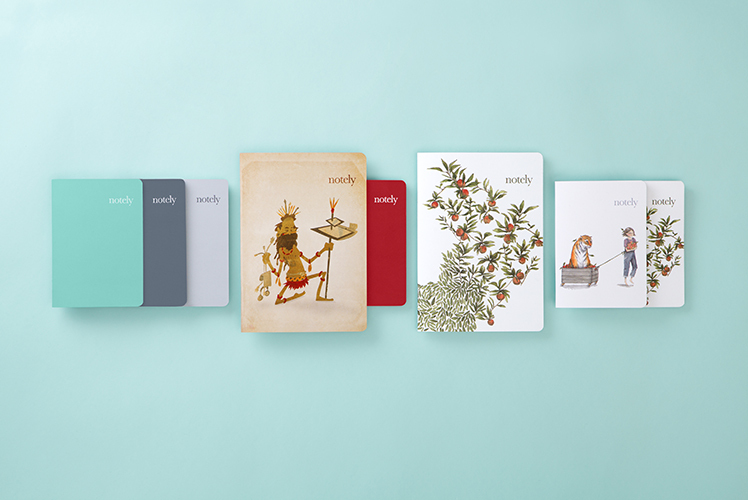 It’s a total dream to work with beautiful, clean, crisp paper. I absolutely love that feeling of a opening a gorgeous new notebook for the first time. 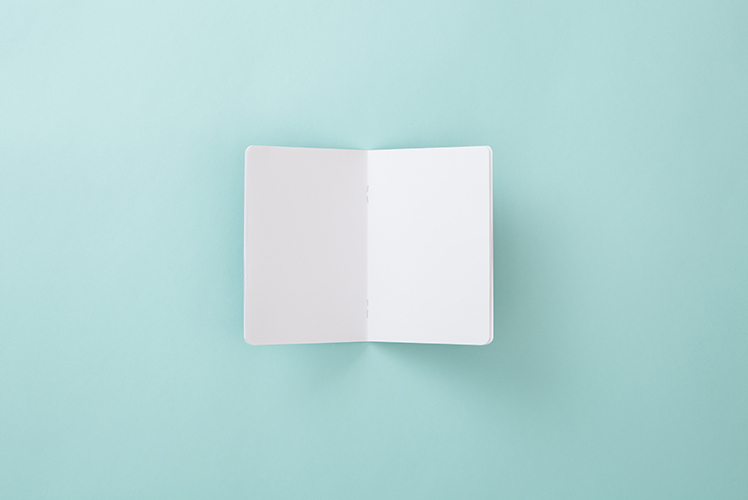 Sometimes it can be scary to break in an expensive notebook so I love that Notely’s are an affordable and compact solution for everyday — while also having a light environmental footprint. We’ve made many considered and well-researched choices along the Notely journey to ensure our eco-friendly ethos is maintained. To work with an FSC certified printer and print with soy-based ink we needed to commit to large product runs. This costs more to produce and is more challenging to store yet we feel it’s worth it to create a lighter impact on the planet – and we wouldn’t have it any other way. What new projects are you working on and where would you like to see Notely in the future? Having just completed our debut stall at Finders Keepers in Brisbane, I’m so grateful to have had the chance to meet lots of lovely faces and chat about our range. From here, I’m currently in talks with a couple of super talented illustrators to commission pieces for next year’s range. It’s so inspiring collaborating with other creatives and I love that our Artist Collection allows us to do that. I really can’t wait to expand and grow the brand and I have so many ideas for future collections. 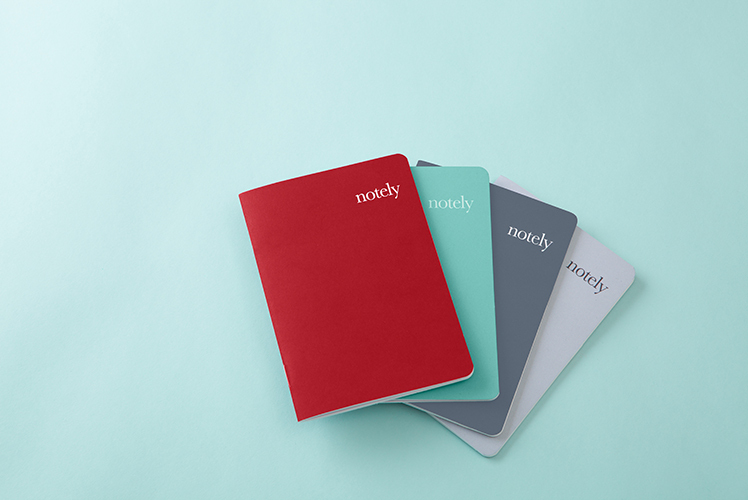 Lots of people have asked us about a hard cover Notely and it’s something we are really excited about, however we haven’t yet found the right balance of materials to keep with our Notely ethos. Hopefully we’ll find a solution next year!